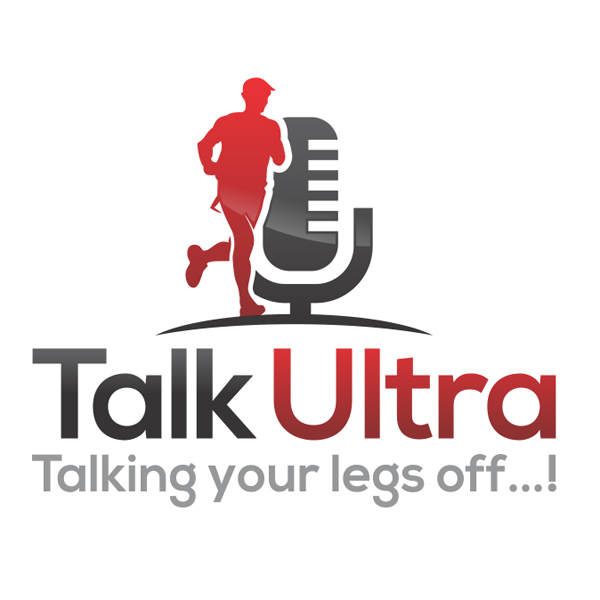 Episode 97 of Talk Ultra has an interview with Andy Symonds about his return to running and top results after prolonged injury, we speak with Remi Bonnet rising star of the VK and SKY distance and Mariepaule Pierson is back from Atacama and tells us all about it. We have Talk Training, the News and Speedboat Karl. Max King 2-years in a row wins $30,000 – F***! 2 – Gabe McGowan 5:54 ? It’s a long way from the UK or anywhere in Europe. A short 1 –hour flight to Amsterdam, a couple of hours’ stopover and then a 10.5-hour flight through the night and of course 7-hours time difference. You arrive mid morning but you feel like you be wrapped up in bed. Once you leave the air conditioned confines of the airport or train station, the heat hits you. It’s like someone just turned a hair dryer on and the humidity? It’s uncomfortably high. Most normal people would get a couple of hours sleep. A little RnR maybe? No, not us. The Salomon team were on my flight; Greg Vollet (team manager), Remi Bonnet, Laura Orgue, Martina Valmassoi and Yngvild Kaspersen. It’s a multi-national bunch with France, Italy, Switzerland, Spain and Norway represented. Active people don’t like being compressed in a cylindrical tube for any length of time, especially 10.5-hours. So it was a quick turnaround at the hotel, check-in, drop luggage in room, shower and go for lunch before heading out on the Lantau 2 Peaks course. Lunch was an interesting navigation of what felt like a lucky dip. We ticked boxes on a menu card and hoped for the best. Some of our choices were excellent, some average and the less we discuss the pork balls, the better! Lantau 2 Peaks by Action Asia Events after all is why we are all here. 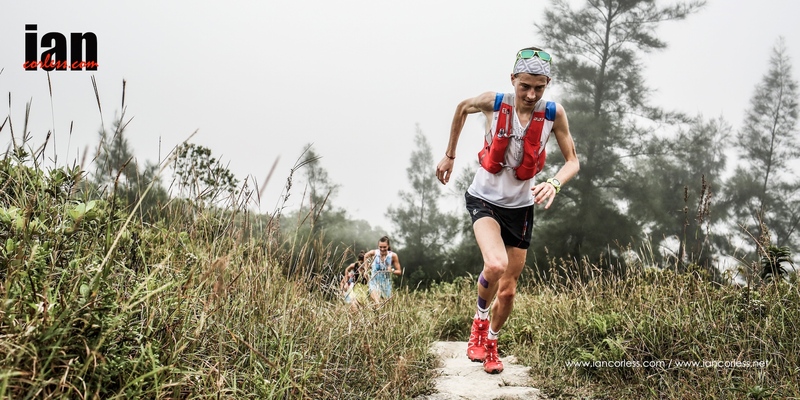 Lantau is the 4th race in the 2015 Skyrunner® World Series for the SKY distance and the top male and female honours are all to play for. 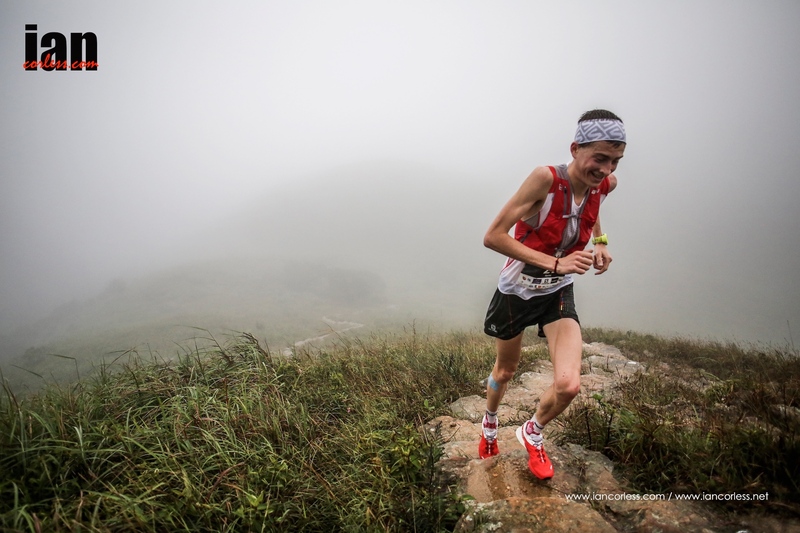 Our early arrival in HK affords an opportunity to check out the 2nd section of the course, from Cp1 to the finish; it is one we seize. I get to look at some possible photo spots and loosen off from the travel, the Salomon team get a 13-14k mountain run in. Running is easy! Navigating our way across Hong Kong via 2 trains, no ‘blue’ taxi’s meant that a bus was the only option. As it turned out it was a great adventure. We have consumed food, used public transport, christened the trails and as darkness falls the place is coming to life in a glow of neon lights and sounds. Hong Kong is an exciting place!